If you’ve been thinking about moving to an active-adult community in the Phoenix area, it’s definitely time to look at Westbrook Village. 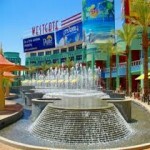 Westbrook Village is one of the most attractive and desirable age-restricted communities in the greater Phoenix area. Two eighteen hole golf courses, two community centers with swimming and spa pools, and more than eighty clubs and social groups ensure you’ll never be short of activities to keep you busy and entertained. Westbrook Village has more than 3,900 homes of all sizes and styles –from spacious single-family homes to condos and casitas designed with both winter visitor and full-time residents in mind. Westbrook Village’s age restrictions are as low as “40-plus”, making it THE place to live for active adults who want a sense of community without isolating themselves from the rest of what the Valley has to offer. Arrowhead Towne Center Mall is just a little over 2 miles away and has more than 159 stores and restaurants. Peoria’s Sports Complex (spring training home to the San Diego Padres and Seattle Mariners) with all your familiar restaurants next door is only slightly further away. 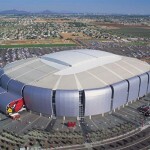 Also within a short drive’s distance are two other spring training stadiums: Surprise Stadium (just 10 miles West) Spring home to the Kansas City Royals and the Texas Rangers, and Camelback Ranch (15 miles South) with the L.A. Dodgers and the Chicago White Sox. 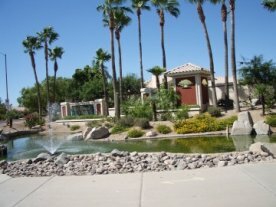 And perhaps best of all, Westbrook Village is just west of the Loop 101 which will get you to all of the prime destinations in the Valley of the Sun quickly and easily.